← 169. Reliving is Bad for Your Health! Christmas is the time for shopping. At least, according to advertizing. Your wife will only be happy if you buy the most expensive perfume or diamonds for her. At Christmas, you drink a cold soda that begins with a C and ends with an A. Something that could just as well be used to unclog your drain. Advertizing does the strangest things to people. And with “strange”, I mean really strange. How? By influencing your subconscious. I am worried about children, youngsters and young adults who are still forming their identities. They are very easily influenced. The Dutch program “RamBam” did manage to get the placement of superheroes banned on candy and cookie packaging! Yay! Wonderful! They infiltrated a meeting of the FNLI, the Federation of Dutch Food Industries. There they stepped unannounced on the podium and started pitching for new packaging. Hilarious: Dora with chubby cheeks for cookies and big bellies for soda bottles! It was broadcast on Dutch television and resulted in real banishment of superheroes on candy and cookie packaging! Speak with other people (especially with your children) about what influencing is and the effects of advertizing. Show how they lead you to buy more and more. Through advertizing, through repetitive messages, through examples, YouTubers, through advertisers setting a time limit (“you can order until 5 pm”), which puts you under pressure, and much more. By becoming aware of it, you can deal with influencing better! Know what you want to buy! Make clear agreements with yourself. What are you going to the store for? What is the maximum amount of money you want to spend? The same thing holds for when you go shopping via the Internet. Decide beforehand how much you want to buy and what your limits are. 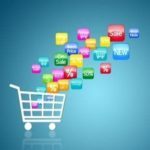 Just before you buy something, ask yourself the question, “Will this make me really happy?” if not, put it back or close the window on your computer instead of placing the order. Be careful with your money; you can only spend it once! Underneath all of this is the important base within yourself. Deal with your emotions. Grief is often the cause of impulse buys. You feel empty. You need to be comforted. 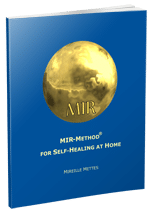 And… you can deal with these things with the MIR-Method, because you fulfill the comforting you need through step 7: Fulfill basic needs! 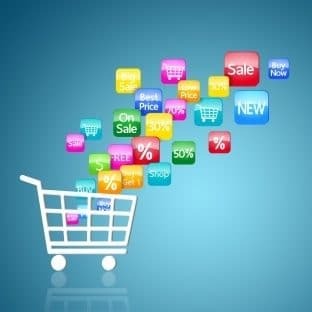 Read about it in article 102, “Overcome your Shopping Addiction with the MIR-Method”. It causes you to come into balance again with yourself. You begin to realize that things are no answer for your grief but that inner healing is! In short, because of all of these influences, we bring more stuff and undesirable food/drink into our homes than we would like. It makes us seem much greedier than we actually are. Through the temptation and influencing, we become greedy; we are not greedy by nature! It also happens through your deeds, the example of your behavior. If you begin cleaning activities in your neighborhood, others will want to contribute to that. Stop gossiping about other people, and others will follow suit. Write your town a letter with the request to…. and others will show interest and be glad to support your initiative. People are social creatures in contact with each other. People really do long for harmony and togetherness. They like it when someone liberates himself or herself and would like to do that themselves. As you discover how you can sparkle more, others will follow your example. It’s a matter of time but it is very easy to accomplish. To motivate you some more, have a look at this video: “The story of Stuff”, with subtitles. And how about you? Are you buying fewer things on impulse? Is that because of the MIR-Method? My wish for you is that you become more aware of your own wishes!